Dear Facebook Friends,First of all, thank you so much for your appreciations and criticisms. Now I am a known figure among my relatives, friends and my brother’s buddies because of Facebook. Honestly, this fame is what I’ve dreamed in my real life. In fact I transformed myself into a new person in Facebook! Only my close friends and family can differentiate the real and virtual personalities of me.A doubt has been haunting me recently… Are people suspicious about me? Do they believe that I publish each and every private affair of them in FB? Don’t count it as a mere imagination. I had sensed a kind of insecurity in some people’s words when they talk to me. Although my friends used to joke that they should fear talking to me as they may find it next day in FB, I feel it is a caveat to me! A warning that people hesitate to trust me…Initially I used to update tiny things about me (not others). Even then, I never shouted any happenings close to my heart. None of my Facebook friends know the times I had sobbed. You never could read anything from my FB activities whether I’m frustrated, sad or excited. I’ve shared only light moments of my life to the virtual world. One thing I should admit, I’ve become a chatterbox when I joined Facebook. I tried to be active in discussions and groups. From a lonely and gloomy girl, I have moved to a naughty character. My words and scribbling became lively and colorful. Writing is a relief for me. Again, once I write a few lines I won’t remember it later. 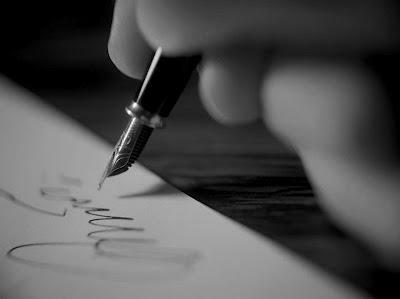 Many times I have wondered why I can’t recollect what I’d written before!I can very well say I have never written or mentioned any names of my friends if they don’t like to do so. Furthermore I am not a sadist who circulates your pain in FB with a happy smiley. Before a few months, I had a life where I could not write a word of my own. I struggled a lot during those days which I never revealed in FB. I have a clear stand on what to write in FB and what not!The distance from Roopa to roopz is very long. Though I love both, I believe mixing up those is not ideal. Roopa is a very common girl who loves to wonder about raindrops and nature. She is a quiet girl and most of her replies will be a silent smile. At times, I feel roopz try to overrule Roopa.FB is a mask or a world where emotions have no role. The visitors there love to see only happiness. So I also act like a machine that is always happy. Do understand that the characteristics of a person in virtual world may vary from the real life. In spite of all these, I have received a few compliments from some of you. I just want to say that I am honored to receive all those lovely comments from you. Keep in touch always!